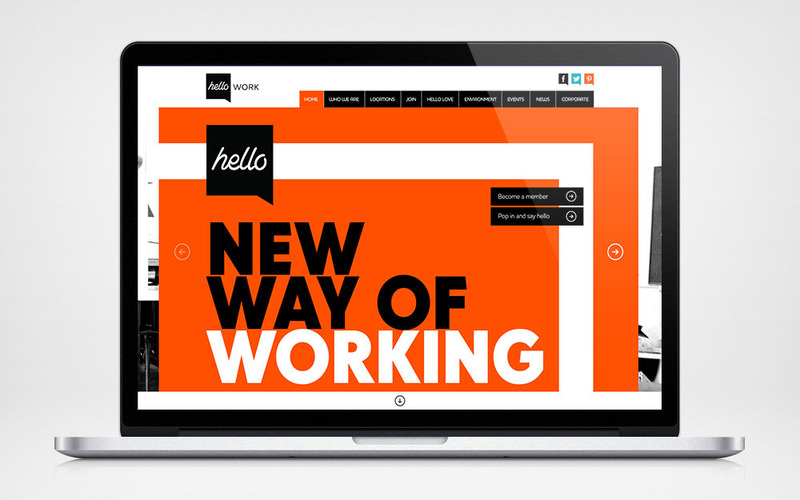 Hello Work is a new company set up by Allied London that provides the next generation of pioneering workspaces to entrepreneurial businesses from start-ups, freelancers to music producers and large corporations. Hello work approached my previous agency – the fresh Group to design a brand identity that will go with its new urban and innovative surroundings. fresh created a bold and vibrant brand identity using a modern square speech bubble shape, large typographic font layout with a bold orange to make the brand instantly recognisable. 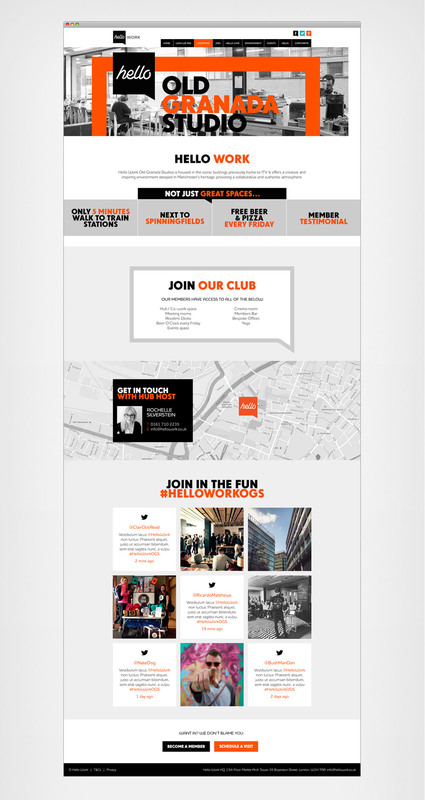 The design was rolled out across a range of marketing collateral including the website – which is where I came in. The turnaround time for the design of the website was short and the client had specifically requested a website like none that she has seen before. 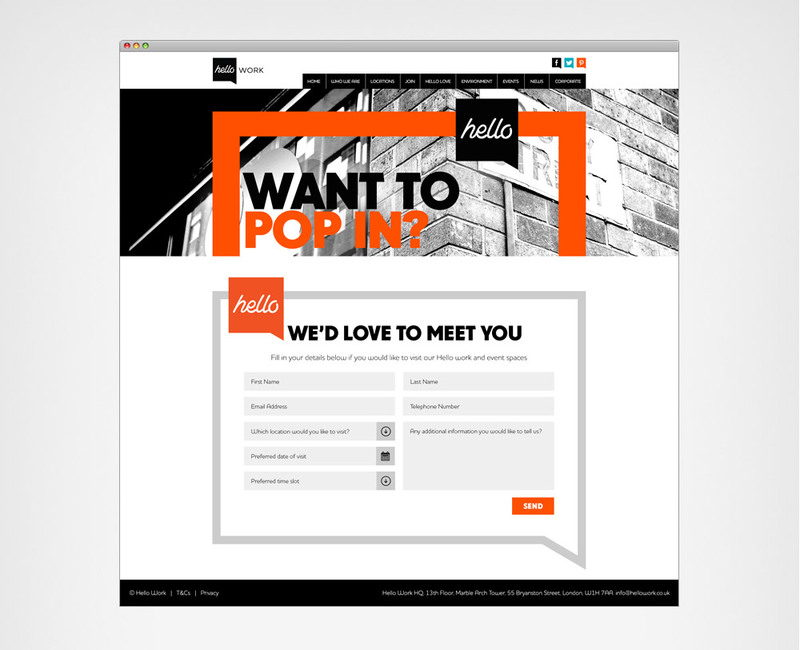 With a lack of inspiration to follow, the design of the website was created at great speed which worked brilliantly well for this project as I was able to deliver a website design that was not only original but urban and gritty enough for the client.